This brawny futuristic mini tank on two wheels is supposedly the world's most powerful electric motorcycle. The battery-powered beast can re-charge its 12.8kWh juice pack in 30 minutes and has the power of a 1000cc motorcycle. 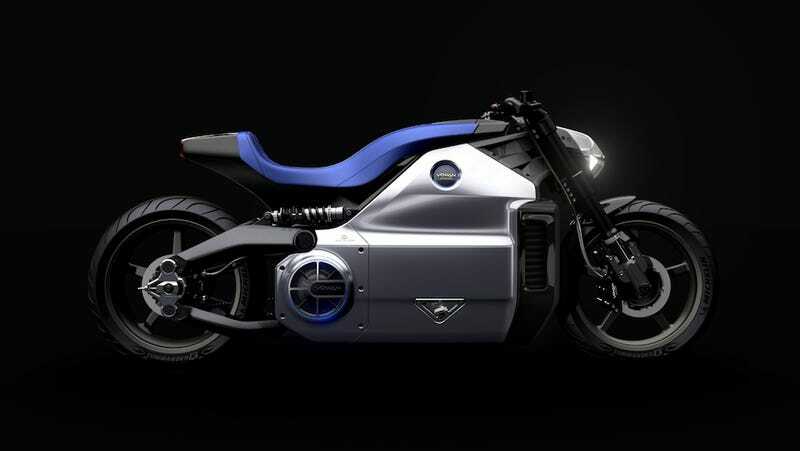 Called the Voxan Wattman, the bike can hit 0-60mph in less than 3.4 seconds and reach a top speed of over 100mph. Vroom freaking vroom. The battery, which as you can see makes a bulk of the bike, has a range of around 120 miles. It looks like a bike Robocop would use.